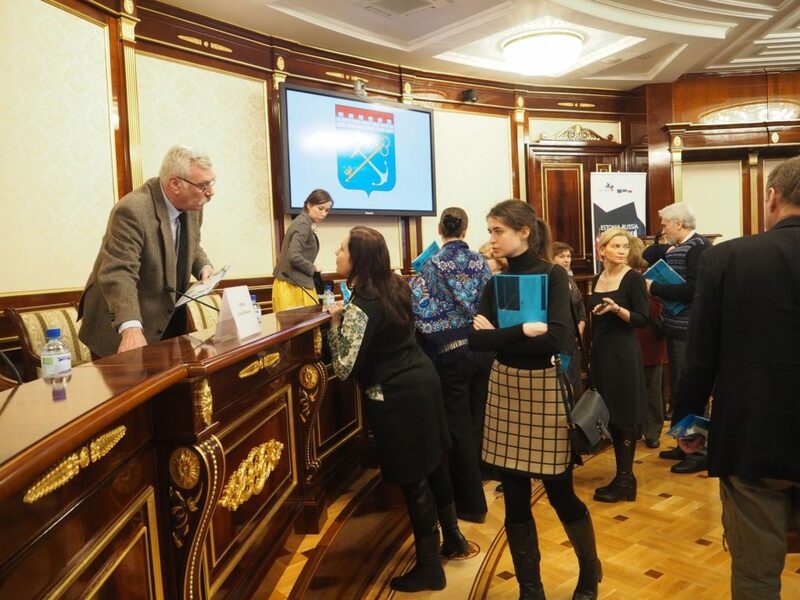 Joint Information seminar of Estonia-Russia and Latvia-Russia CBC Programmes 2014-2020 for potential applicants of Leningrad Region took place on 31th January in the premises of the Leningrad Region Administration. 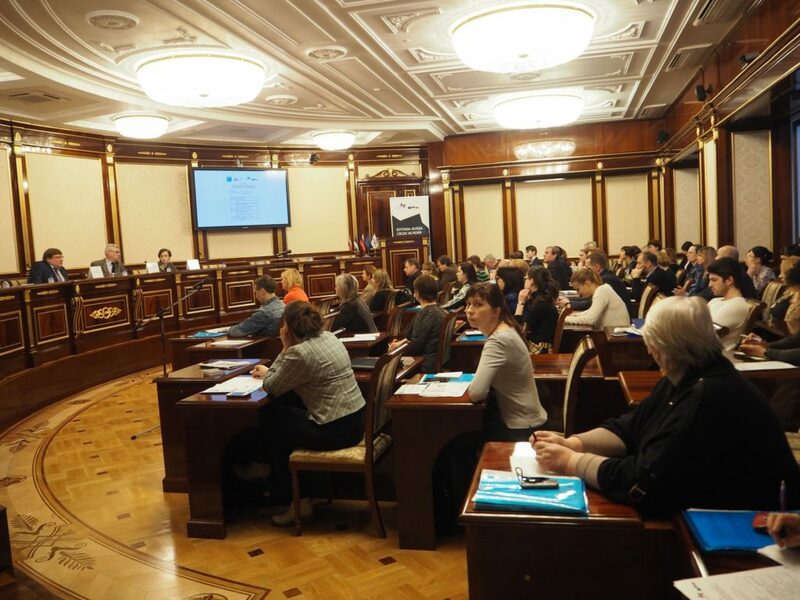 The event was initiated by the Committee for External Relations of Leningrad Region and attended by more than 70 participants, including representatives of the municipalities, regional government committees, NGOs and other organizations. 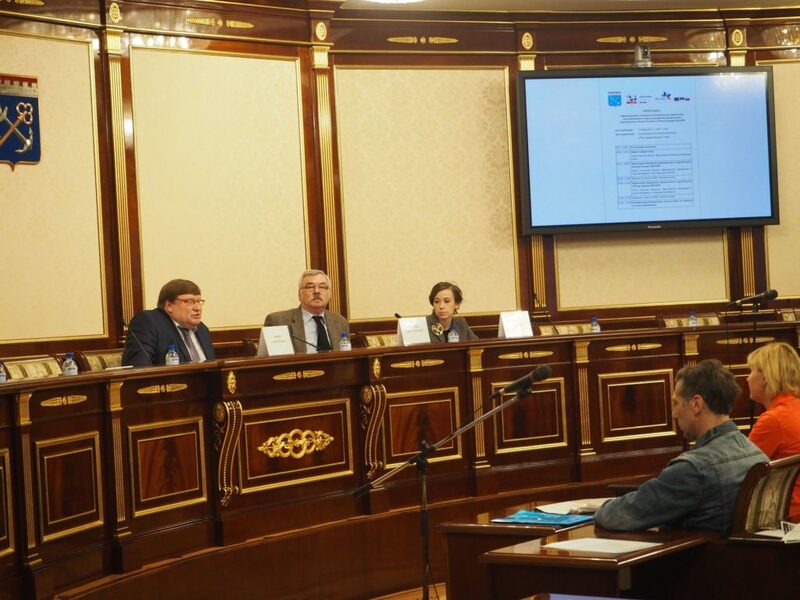 The seminar was opened by Mr Andrey Minin – Chairman of the Committee for External Relations of the Leningrad Region. 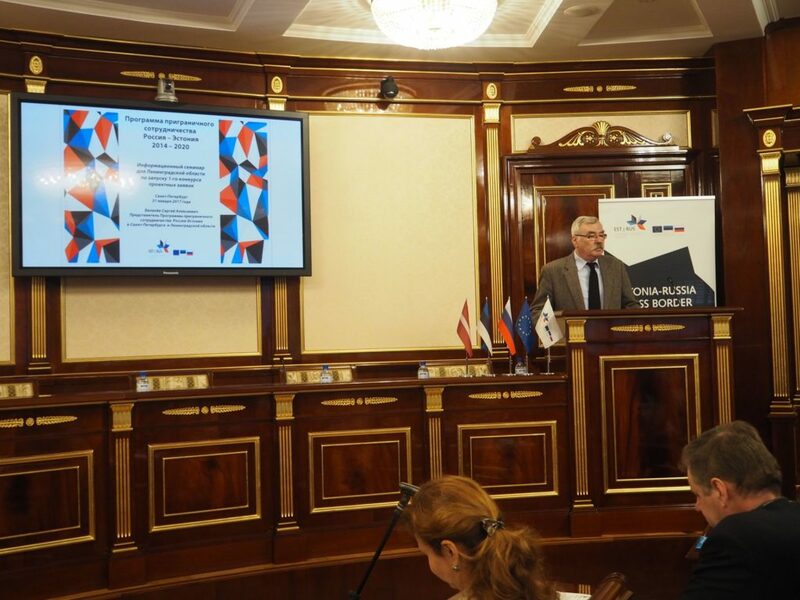 Mr Minin briefly summarized the results of Russia – EU cross-border cooperation programming period 2007-2013 and introduced the audience to the specific features of the new period of cooperation with EU for the years 2014-2020. 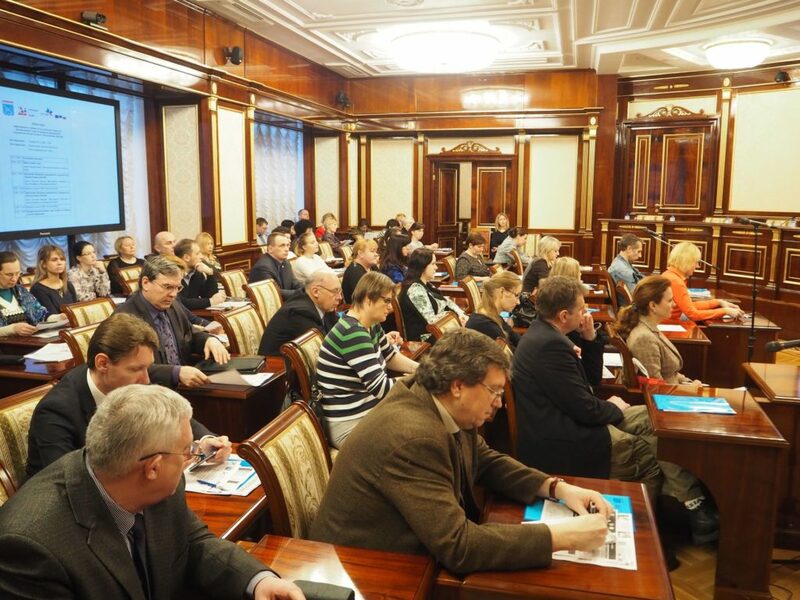 Results expected to be achieved by the projects participants from the Leningrad Region were also emphasized. Mr Sergey Balanev – representative of Estonia-Russia Cross-border Cooperation Programme in St. Petersburg and the Leningrad Region had introduced the audience to the requirements of the 1st call for proposals of the Estonia-Russia Programme started on 17th January with the deadline for submission of the Projects Summary Forms on 3rd April 2017. 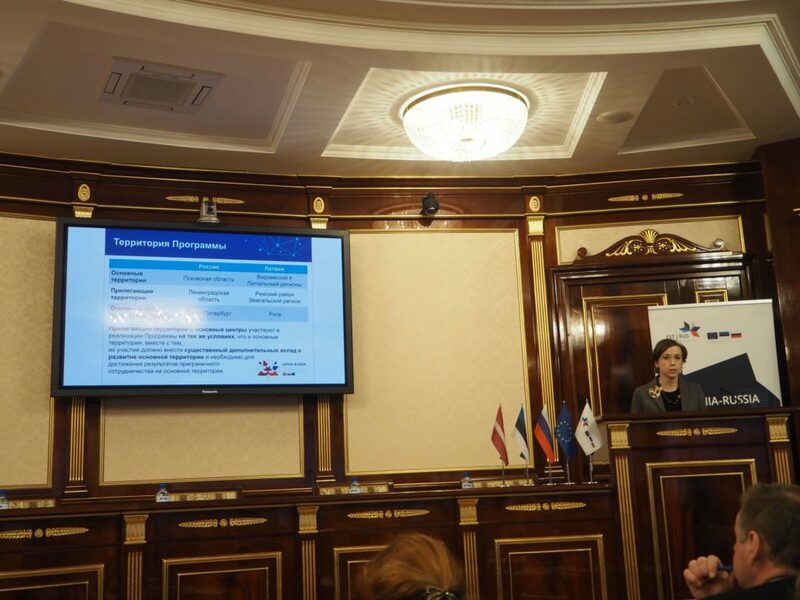 Ms Elena Makarova – representative of Latvia-Russia Cross-border Cooperation Programme in St. Petersburg and the Leningrad Region, informed the participants on the state of play of the Programme and provided explanation of the main approaches and opportunities for project development before the Call for Proposals is launched. Participants used the opportunity of the open discussion during the question-and-answer session followed by the individual consultations delivered by Programmes representatives.